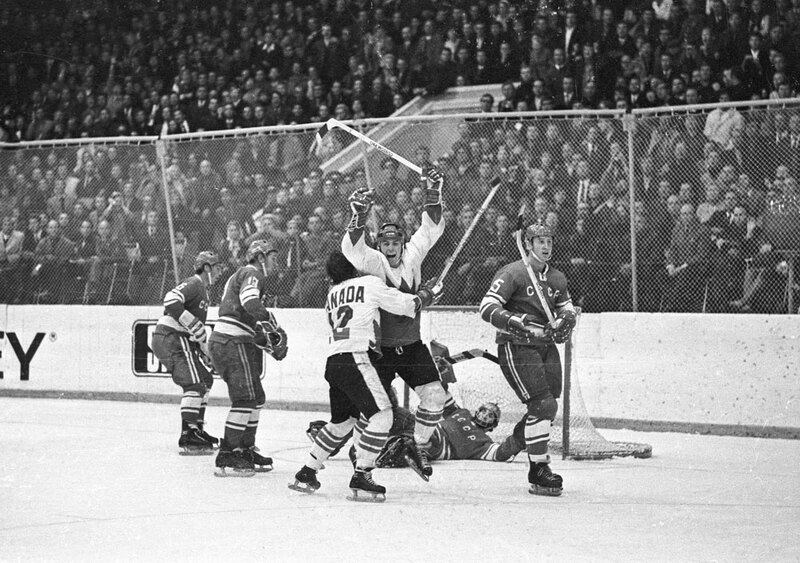 Team Canada’s victory over the Soviet Union’s national hockey team on September 28, 1972, is one of the most celebrated moments in this country’s sports history. Many Canadians of that generation remember precisely where they were when Paul Henderson scored his famous game-winning goal. Before Henderson scored, victory was uncertain. In the final game of the series, the teams were tied. Team Canada had been surprised by the level of competition they faced from the Russians. Going into the series, the National Hockey League players who joined the team believed the eight-game series would be an easy win. The Canadian players were coming off their summer vacation and they saw the series as a sort of training camp for their upcoming season. No Western journalists had press passes to cover hockey in the Soviet Union, so few people had any idea of the strength of the Soviet leagues. 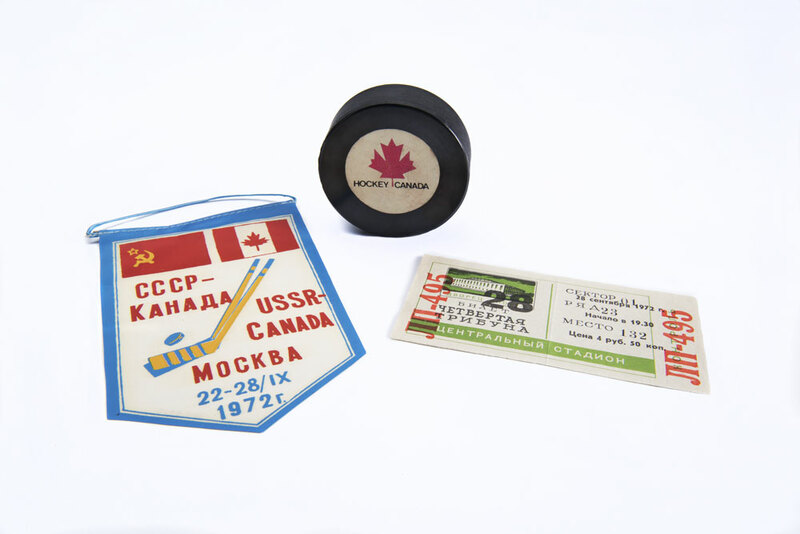 By comparison, Soviet players and coaches knew all about Canadian hockey — the team had been training year-round in preparation for the upcoming series. The first four games were played in Canadian cities and the final four in Moscow. When the Soviets won the first game with 7 goals to 3, many Canadians were shocked. Team Canada won game 2 but they did not play well. Game 3 was a tie and the Soviets won games 4 and 5. After Canada’s loss in game 4 in Vancouver, the team was booed off the ice. The Canadians won the final three games to win the series 4 games to 3, with one tie. Henderson’s memorable goal in the final 34 seconds of game 8 gave Canada a come-from-behind victory. An estimated 13 million Canadians — out of a population of 21 million — watched the final game on television. Children were allowed to watch at school and some businesses shut down so that people could watch at home. This year marks the 45th anniversary of the Summit Series. Canadians continue to be inspired by the event. Henderson’s goal was voted among the all-time greatest moments in Canadian history in a Dominion Institute poll in 2000. The Canadian Press called the players the “team of the century.” The Summit Series team is the only one to have been inducted into the Canadian Sports Hall of Fame. Henderson’s iconic Summit Series jersey and signed stick are on display in the Hockey exhibition and in the Ultimate Hockey Collection special display until October 9. 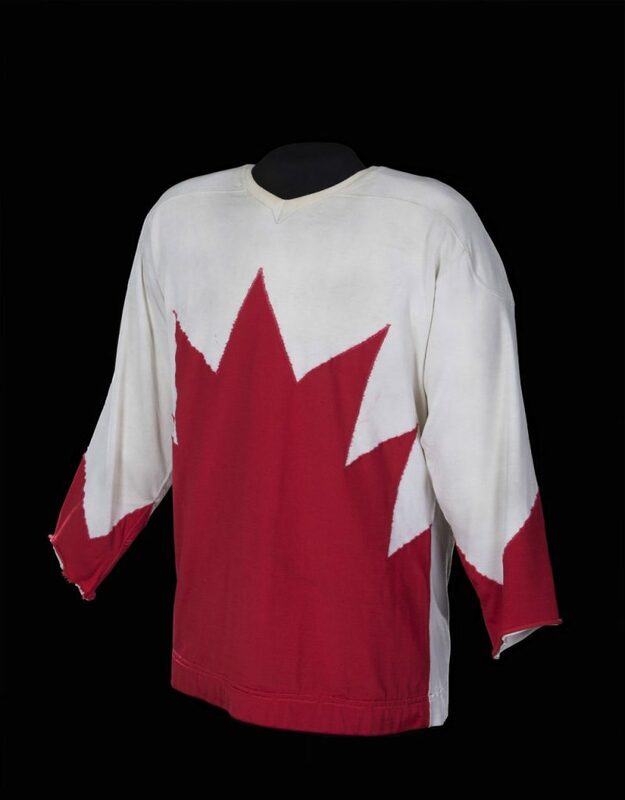 The Canadian Museum of History’s collection includes other artifacts related to this iconic cultural moment, including defenceman Gary Bergman’s Summit Series jersey and hockey bag, game tickets, a puck, and souvenir records of the games. Don’t miss seeing the exhibition and display before they close on October 9.